Here is Some Information Shani Dham Temple in Delhi India. 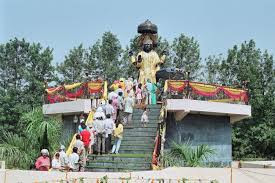 Shani Dham Temple is located Shree Shani Tirth Kshetra, Asola, Fatehpur Beri, Mehrauli, New Delhi.The temple was built around 150 years ago.The temple is dedicated to Shani Dev. 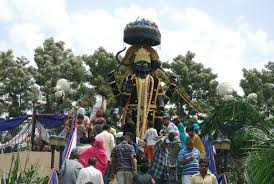 The Shani God holds a powerful influence on the astrology and religion of Hindus. Devotees visit this temple and pay homage here as according to the Hindu belief, the hardest of troubles and problems are caused due to the adversity of Shani and they are extinguished within no time by worshiping here and by offering oil (Telabhishek) to Lord.One of the most prevalent prominent myth is that suffers get recovered from their ailments after entering the shrine’s compound. 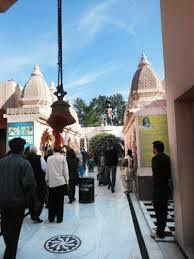 But after witnessing the presiding deity and offering oil there, the remaining inflictions get off themselves. 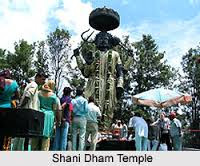 The temple is famous for having the talleststatue of Lord Shani existing anywhere in the world.The idol of Lord Shani is made of natural Rock and is the chief deity of the temple.Temple It is believed that with the holy chanting of the names of the Lord the temple as well as the surrounding places has become sacred.Shree Shani Dham Peethadeshwar Sant Shiromani Shani Charanuragi 'Datti' Madan Maharaj Rajasthani ji enchanted One Hundred Crores and Thirty Two Lakhs (in numbers) Shani Mantras on this sacred grove before unveiling the statue.The temple is hendaling bu Shani Dham trast. 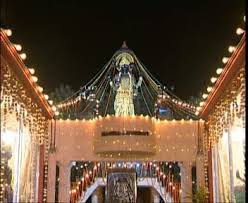 By Road : There are many public and private vehecals available to reach Shani Dham Temple New Delhi . By Metro : The Nearest Metro Station is Chhattarpur Metro station. By Rail : The Nearest Railway station is Delhi Railway station. By Air : The Nearest Airport is Indira Gandhi International Airport.